We have provided a complete emergency service since 1979. Our shop in Walkinstown cuts the largest range of keys using state of the art key cutting machines. Our years of locksmithing experience in break-in repairs gives us a fantastic insight as to how the criminal looks at your property for the weak areas. Our locksmiths can advise you of these weak areas and address them with additional door and window locks. We stock all makes of UPVC Window and Door locks for home and business. Why not let Crothers Locksmiths upgrade your window and door locks with the very latest in burglar-proof locks and hardware? Lock “snapping” and entry through PVC doors is the latest security threat to our homes. We have a range of locks to upgrade your doors and windows to secure and protect your house from these new threats. A pre-engineered weakness cut into the barrel provides a sacrificial section to break off, if attacked. We stock several brands of locks with this new technology and can provide one key system for all of your doors. One of the most popular products we offer is the Architectural Euro Snapsafe Signed by Squire. We are authorised YALE DOORMASTER stockists and installers. 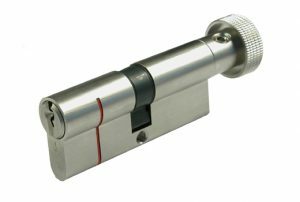 Their range of flexible high security locks for PVC doors means you can upgrade the security without replacing the doors. Our locksmiths can also supply and install deadlocks and door reinforcing kits for timber doors.